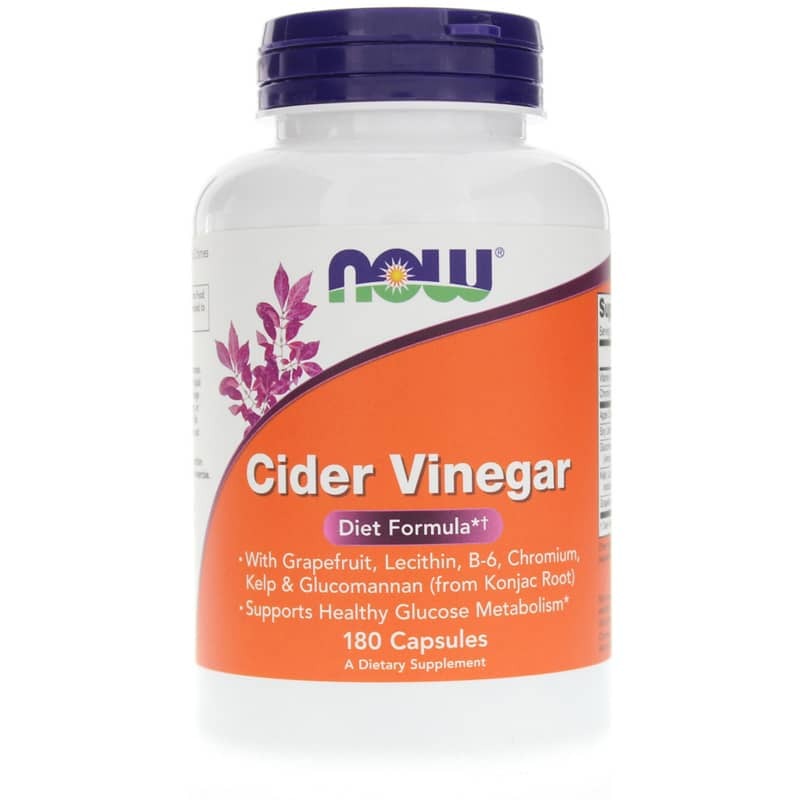 Cider Vinegar Diet Formula by NOW is a natural weight loss supplement that supports healthy glucose metabolism. * This combination of apple cider vinegar, kelp, lecithin and b-6 is a time-tested formula used by millions in the U.S. for decades. 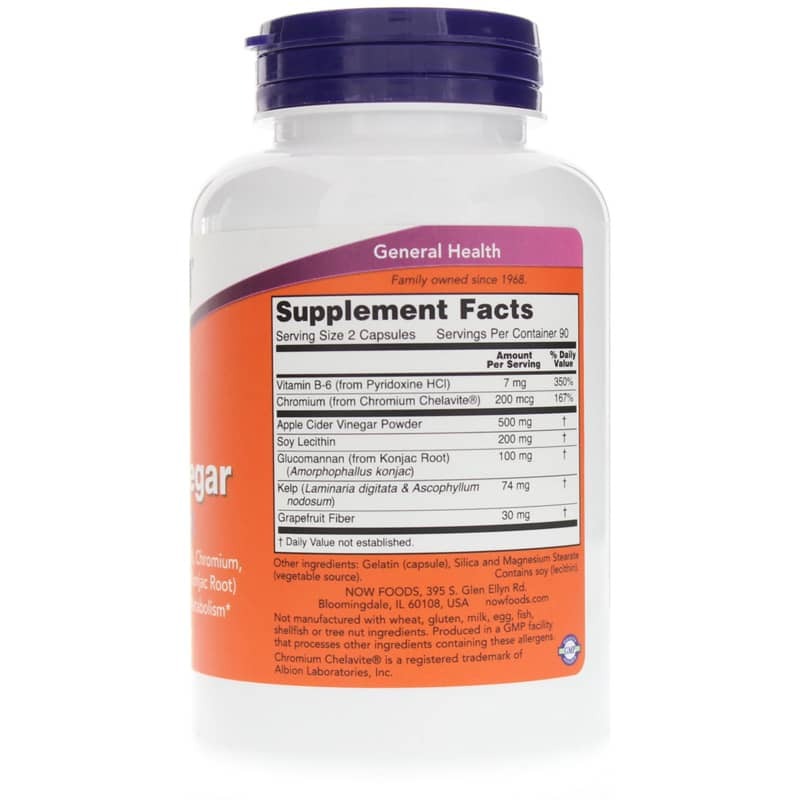 NOW has reintroduced this proven combination and added powdered glucomannan, a fibrous tuber, grapefruit fiber and chelated chromium for synergistic support. 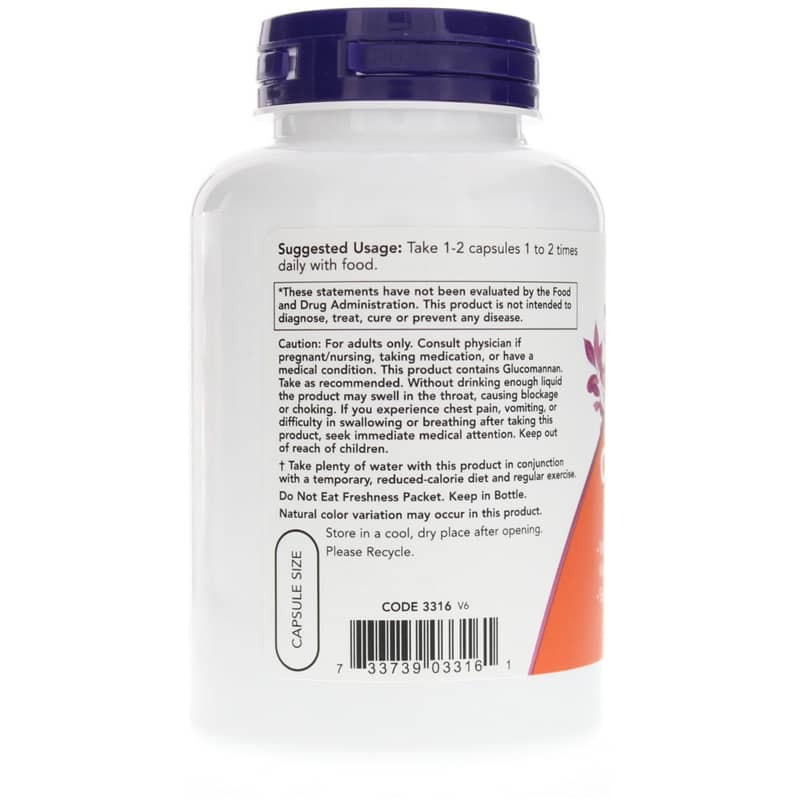 Adults: Take 1 or 2 capsules 1 to 2 times daily with food. For adults only. Consult physician if pregnant, nursing, taking medications, or have a medical condition. This product contains Glucomannan. Take as recommended. Without drinking enough liquid the product may swell in the throat, causing blockage or choking. If you experience chest pain, vomiting or difficulty in swallowing or breathing after taking this product, seek immediate medical attention. Keep out of the reach of children. IT WORKS!!! Down 30lbs Since April 2017 - and NO Dieting!! True story! I found these at GNC in April 2017 when I went there looking for something to help my ongoing digestive issues. The clerk gave me these (only ACV capsule they had in stock) - and I initially refused them because they were a diet formula - and I wasn't looking to diet (at that point I was barely eating & still trying to figure out, day to day, what was causing my digestive issues). I took them anyway, starting that very evening. Lo & behold - not only did my digestive issues almost disappear (I eat what I want now - nothing spicy & watching the dairy which can still give me major gas, TMI ... I know) - but my clothes began getting looser! So I started weighing my self about twice a month. The result? I am now down 30 lbs. since April 2017 and two sizes! Slowly, steadily, about 2-3 lbs a week most times ... but IT WORKS! I'm almost back to my high school weight - and what woman doesn't want that?! I'm now on bottle #4 and will NEVER stop taking these wonderful capsules! Thank you NOW (and the nice girl at GNC)!